Stuttgart, September 2013 – New strand pelletizers of the HD Series (Heavy Duty) from Coperion Pelletizing Technology GmbH, Offenbach/Germany, will be making their début at K 2013. As the name of the series implies, these extremely high-throughput strand pelletizers are sturdily built and rated for operation under the most demanding conditions, which is the case, for example, when processing engineering plastics with high filler content, e.g. glass fibres. 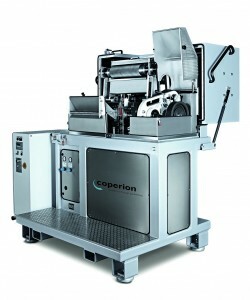 The two models – SP 500 HD for throughput rates of up to 5,000 kg/hour and SP 700 HD for up to 6,300 kg/hour – have been specially developed for use with the Coperion twin-screw extruders ZSK 70 Mc18, ZSK 82 Mc18 and ZSK 92 Mc18 (equipped with 70, 62 and 92 mm diameter screws respectively). 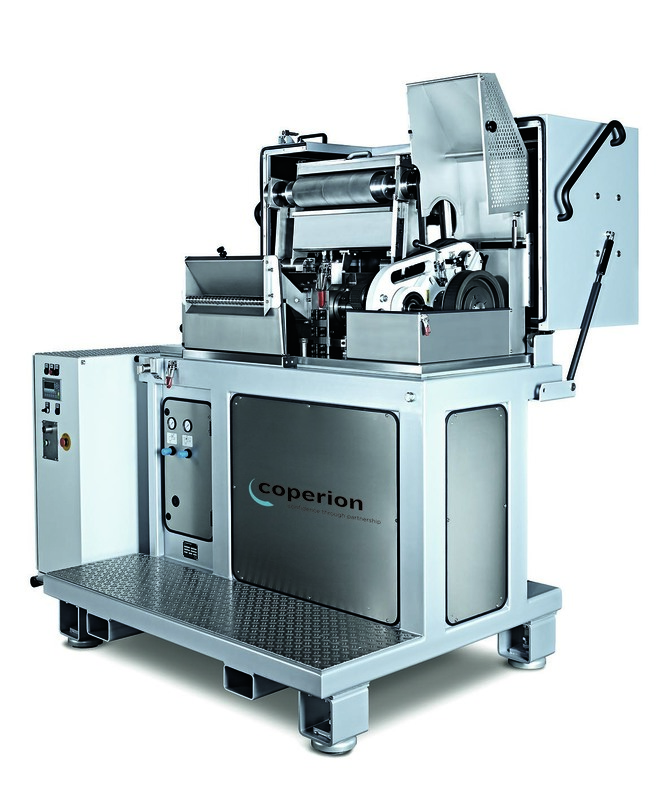 The model SP 500 HD will be shown at K 2013 (Duesseldorf, October 16-23, 2013) on Coperion’s exhibition stand B33 in Hall 14. Strand pelletizers for reinforced plastics are subjected to extremely high stress, as these materials are not only very abrasive but also highly rigid and tough. Added to this are the high throughput requirements that can be met only with a high draw-in speed and a large number of strands. The pelletizers of the HD series are thus equipped with an abrasion-resistant feed opening and feed mechanism. The rotor system is rated for long-term, heavy-duty operation. The rotor itself runs in bearings on both sides and is entirely free from play, thus ensuring constant knife clearance and hence a high quality of pellet. Depending on the actual application, the rotor knives are either of hardened tool steel, special PM steel or tungsten carbide. With drive ratings of between 22 and 45 kW, sufficient torque or cutting force is always available at all operating points – especially during start-up. Defined interfaces readily permit integration of the pelletizer control into the control and visualization system of the ZSK Mc18 extruder. In view of the high draw-in speeds of between 40 and 120 metres/min and strands numbering between 125 and 150, manual feed of the strands has more or less reached its capacity limits, which is why the strand pelletizers of the HD series can be equipped with an automatic strand feed system. This system automatically guides the strands via a water slide and a conveyor belt into the pelletizers feed mechanism. Use of the automatic strand feed system facilitates start-up and avoids downtimes caused by malfunctions in the event of strand breakages.